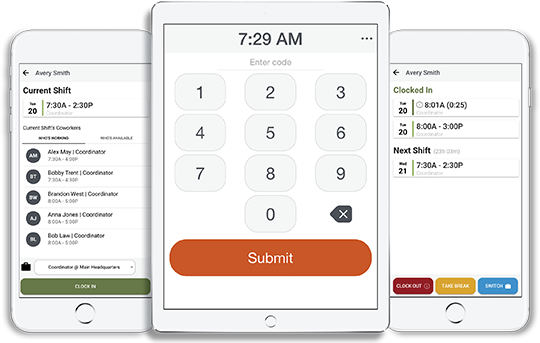 The fastest and easiest way for employees to get on and off the clock. 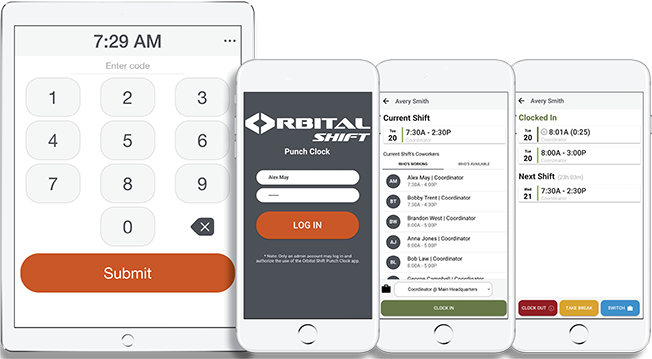 The Orbital Shift Punch Clock app lets employees clock in and out of their shifts with a few taps to a fixed terminal or mobile device. Businesses can have as many time clock stations as they need and setup GPS tracking pins so employees can only punch in when they are actually at work. Free Trial - No Contracts or Credit Cards Required. The accuracy of the online time tracking system ensure employees are recording their work hours in real time, eliminating the guessing that occcurs from paper time sheets. Don’t waste another second of company time fixing time cards and paychecks or giving the same briefing to dozens of employees everyday. 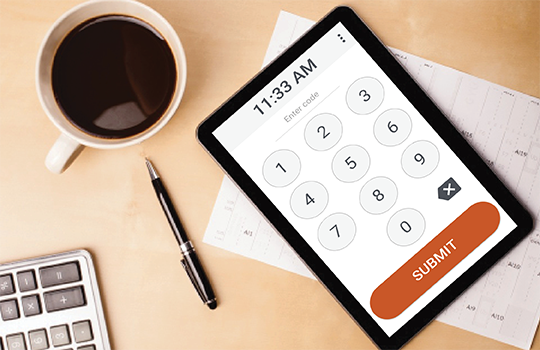 Let the Punch Clock App do the tedious work for you, so you can focus on what really matters: running your business. "Orbital Shift forces them to take responsibility for trading shifts." "If you have 180 people clocking in early, that costs a lot of money, so I like to be able to manage that. It saves so much time for managers and our payroll personnel." Our world-class customer support is yet another reason we offer the best online time clock software on the market. Our time tracking apps are easy to implement with the help of online videos, tutorials, manager training sessions, an online help center and on-call support. Find out for yourself what makes Orbital Shift the best online employee time and attendance product. Take advantage of our no-obligation free trial offer where you can use our software for 14 days at no cost.